Is Voting Conservative An Act of Terrorism? Bear with me. Terrorism is defined as the “unlawful use of violence and intimidation, especially against civilians, in the pursuit of political aims”. We might associate it with the ongoing bombings and shootings taking place in European capitals. We might associate it with ISIS and Al-Qaeda and other groups of extreme Islamists. We might be less likely to associate it with similar acts of terror taking place in countries such as Afghanistan, Nigeria, Pakistan and Syria. We might also not associate it with right-wing terrorism in the US (claiming more lives since the September 11 attacks to June 2015 than jihadist terrorism). Our media inclines us to believe certain things about terrorism whilst ignoring others. And one thing our media never inclines us to believe is that our government may be guilty of it. If you remove the word ‘unlawful’ from the definition of terrorism to leave “the use of violence and intimidation, especially against civilians, in the pursuit of political aims” it’s not too much of a stretch to see how various policies pursued by the Conservative government over the past few years might fit this bill. The Tories have cut, amongst other things, spending on schools, disability benefits, social security, the NHS, housing benefits, the social housing stock, and support for women and children. In essence, they’ve cut spending on the threads that keep the social fabric together (and remember, they’re cutting because the banks were bailed out after the 2008 crash and never made to pay the money back) and the consequences have included death. One study suggests that 30,000 deaths in 2015 could be attributable to the “relentless cuts” the NHS faced. Of course, the results were contested but it’s worth asking that if there aren’t enough beds at your local hospital, the A&E waiting time is too long and without sufficient money to buy private healthcare where do you go to get support? A local example for me would be the cuts to the organisations in London who help people struggling with mental health problems and/or HIV, again, without this support system where do vulnerable people go to find community and care? It’s also worth noting that hand-in-hand with the cuts goes an increase in privatisation of services. This means what was once free at the point of delivery becomes priced, immediately making it harder for people on lower incomes to access, and it’s also led to people having exceptionally unpleasant and dehumanising experiences at the hands of companies such as G4S and Serco. So, as the rich get richer but for everyone else the social fabric tears, I argue that one of the consequences of this is terror. People are dying because they’re not getting the support they need, that’s terrifying. Despite the incredible material wealth in 21st century Britain people are still in poverty, that’s terrifying. Local communities are falling apart and we’re turning on each other as a consequence, that’s terrifying. And our government’s solution is to exacerbate the problem, that’s terrifying. The Tories are implementing violent and intimidating policies to further their political aims except they are considered lawful because they’re the government – the ones that make the law! For this reason if you were to vote Conservative on 8th June you will be an active participant in this terrifying process. 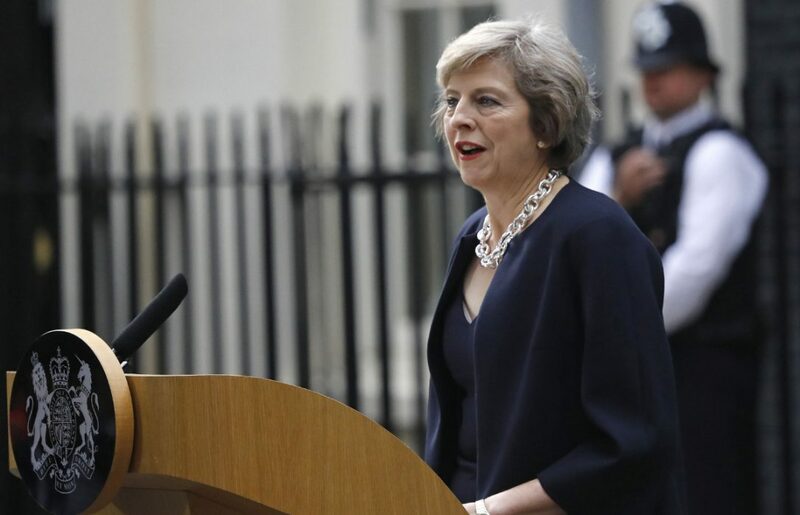 However, I doubt that Theresa May sits with her Cabinet (and David Cameron sat with his) and asks, “How can we terrorise the poor today?” or “Who should we murder with our policies?”, instead, I think she and her party genuinely believe that what they’re doing (slavishly adhering to an increasingly feudalist form of neoliberal capitalism and market idolatry) is for the best. Quite how/why they believe is for another post but I think the one thing they lack, which terrorists do not, is intent. So, no, I don’t think the Tories are involved in a class war that involves murdering their opponents with economic policies but I do they are involved in a class war that consists of defeating their parliamentary opposition and its support base with economic policies that kill. Which makes the answer to the post’s title a no – voting Conservative is not an act of terrorism but I think the consequences of doing so will continue to be terrifying. Now, on the off-chance any of my Tory-voting chums are reading this (and I do have some because I went to boarding school in Kent…but that’s for another post) I might hear them offer this question: weren’t the Labour Party under Ed Miliband committed to the cuts as well? My answer to this would be another question – what does it mean that back at the 2015 general election both of Britain’s major political parties were wedded to destabilising society? My Tory chums can answer for themselves but, if you’ve read this blog before, you’ll know that I like to look to the context and Britain’s current political context is one of different shades of capitalism. We were told this system would redistribute scarce resources into the hands of those that needed them but when money itself, the oil of the machine, is a scarce resource it’s no surprise that it’s the needs of the wealthy that are being met especially as they’ve managed to buy up so much of the market, media and politics for themselves. That’s also terrifying. Terrorism is a tragic and horrific force in our world and every time anyone in any country dies at the hands of an extremist it is a tragedy. Every time anyone is injured by an act of terrorism it is a tragedy. Every time anyone loses a loved one due to terrorism it is a tragedy. This post categorically does not intend to diminish that truth by perhaps glibly referring to Tories and terrorists in the same sentence (as much as Tories like to compare, say, rail or mining strikers to terrorists and use anti-terror laws to silence opposition and protect corporate interests etc). However, history shows us time and time again that the self-interested pursuit of capital yields only inequality and that rising inequality leads to people taking more extreme actions to express themselves. Of course, the reality is far more complex than that but if we can’t see how these things connect then we won’t be able to change them and history will just repeat itself. However, a vote for any party but Conservative (and Ukip!) on June 8th might be a step in the right direction. I find it a little worrying when Tory voters I know start despairing at our current Tory government. I mean, I thought they were supposed to be united in cutting back the state, unleashing the market and serving big business but it seems rotten things aren’t just unique to the State of Denmark. First things first, there’s Theresa May. She wasn’t actually elected Prime Minister but it seems she’s intent on claiming the position as her own as she ushers in a new wave of right-of-right conservatism. She wants hard Brexit (even though the referendum had nothing to do with what degree of boiled Brexit would be), she wants grammar schools and she doesn’t want to pay much attention to Scotland. Then there’s her cabinet of curiosities: Borish Johnson (need I say more), Amber Rudd’s openly racist statements (and then she got all defensive about being called racist saying that a conversation about immigration needs to be had as if the two, racism and immigration, go hand in hand), Philip Hammond (having second thoughts about restricting immigration from the EU much to the consternation of hard-boiled Brexiteers), Andrea Leadsom (who farmers hate, naturally she’s Environment Secretary), Jeremy Hunt is still there (he’s the one that legitimised us using the ‘c’ word without actually having to use it) and I’d go on but I’m in tears now. 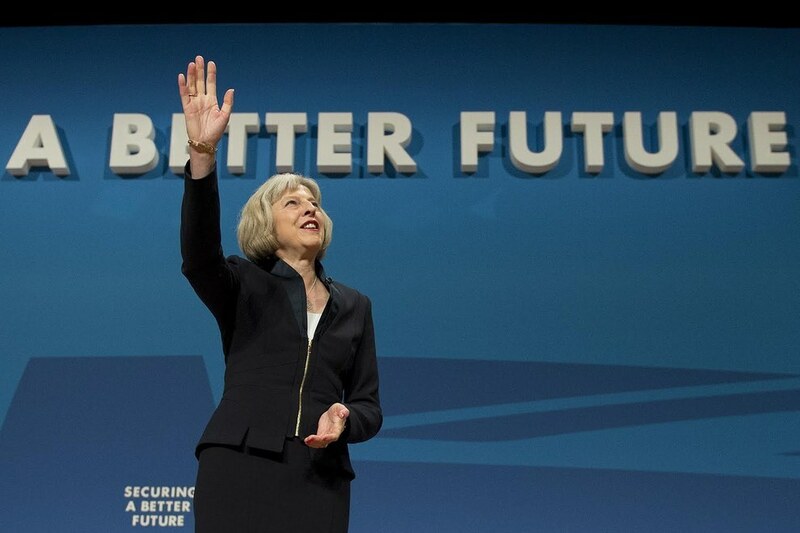 It’s becoming increasingly clear that the Tories haven’t got a clue. Many of the right-wing, hard-boiled Brexiteers see the referendum result as carte blanche to discriminate, revealing a worryingly racist and discriminatory nature. Meanwhile, many ‘lefty’ Tories are baulking at the behaviour of their more extreme comrades as they wake up to the fact that if you support a right-wing party expect right-wing prejudices. So whilst the media is leading us to believe that the Labour Party is intent on tearing itself apart it seems the Tories are doing it too. The big problem is that the Tory party are the ones leading the country. Their prejudices, rivalries and inability to grasp economics are having national and international consequences and this is not good. So please, if there are any moderate Tories out there, please take back control of your party and try to make it into something you can be proud of. And sure, this post will rile and patronise you but, seriously, can you do something about the bigoted mess that is your party because it’s not funny. In the meantime, here is something that’s funny: Fascinating Aida’s take on the Brexit mess with an apology to Scotland.